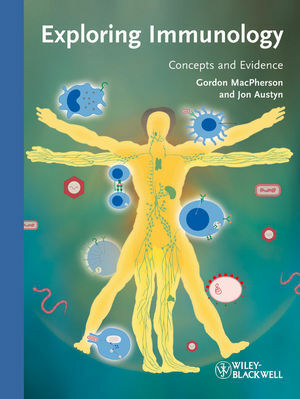 This concise introductory textbook uses carefully chosen examples from clinical and experimental observations to provide an insight into the principles underlying the immune system. As a result, it encourages readers to ask critical questions in order to further advance our understanding of this unique organ. Both authors are experienced lecturers and highly regarded researchers. The book is professionally illustrated in four color throughout with beautiful artwork which by itself distinguish the title from any comparable title. Jon Austyn is Professor of Immunobiology in the Nuffield Department of Surgery at the University of Oxford. He has taught extensively in all areas of fundamental immunology over many years, and designed the MSc course in Integrated Immunology at the University of Oxford, which he now co-directs. Jon Austyn has over 25 years research experience of dendritic cell immunobiology, particularly as applied to transplantation, infectious diseases and more recently cancer. He was recently awarded with distinction the Diploma in Learning and Teaching in Higher Education by the University of Oxford. What are the Mechanisms of Tissue Damage Caused by the Immune System? Why Do We Make Harmful Immune Responses to Harmless Antigens?